Michel Auder’s film 1967—made up of otherwise unused footage from that year—screens as part of the POP PICTURES PEOPLE exhibition at Museum Brandhorst in Munich. MUSEUM BRANDHORST, Theresienstrasse 35a, Munich. 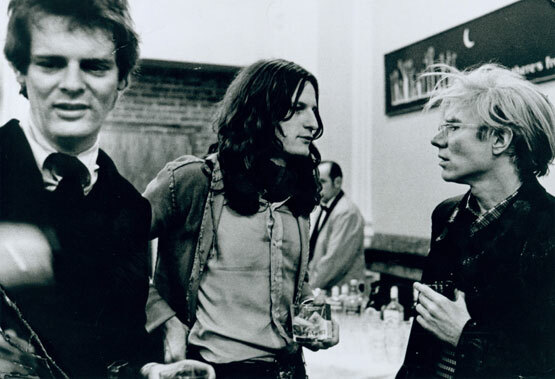 Top: Paul Morrissey (left), Michel Auder, and Andy Warhol. Bottom: Michel Auder, 1967. Image credit: Michel Auder. This entry was posted in ART, FILM, PHOTOGRAPHY, VIDEO and tagged 1967 (Auder), Andy Warhol, Michel Auder, Museum Brandhorst, Paul Morrissey, Pop Pictures People Museum Brandhorst on November 26th, 2017 by Barlo Perry.